NextStep Phoenix is Arizona’s premier paralysis recovery center focused on neurological rehabilitation and fitness. Allows individuals living with paralysis to repetitively practice standing and stepping using body weight support. 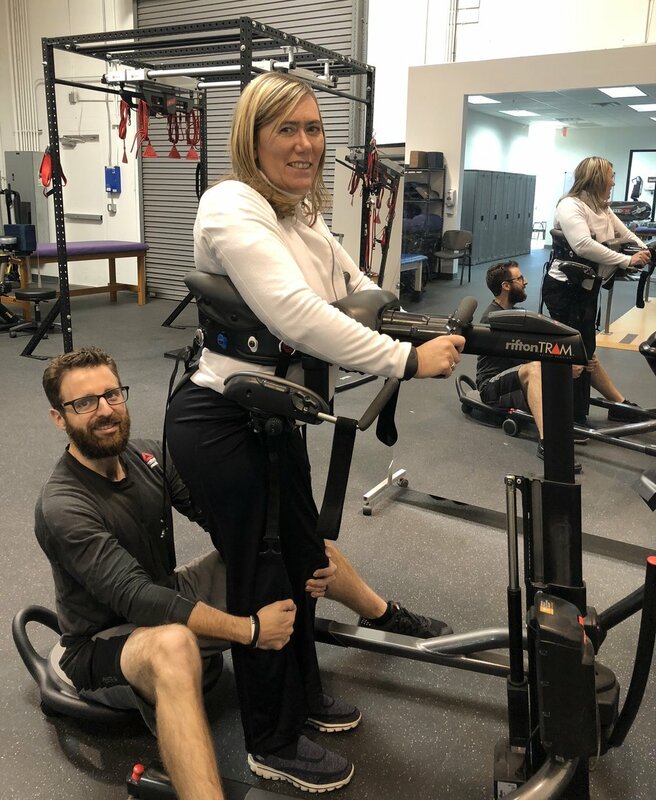 In a therapy session, the participant is suspended in a harness over a treadmill while specially trained therapists move his or her legs and body to simulate walking. As the person gains function, improvements in sitting, standing, reaching, grasping or walking occur. NextStep’s FES RTI-300 bike is specially designed ergonomic bicycles which a person can use from their wheelchair, using electrical stimulation through electrodes to cycle with and without motor support. This bike can be used for leg cycling. The benefits of FES cycling are numerous—from aerobic conditioning to increased circulation, spasticity management and muscle flexibility.